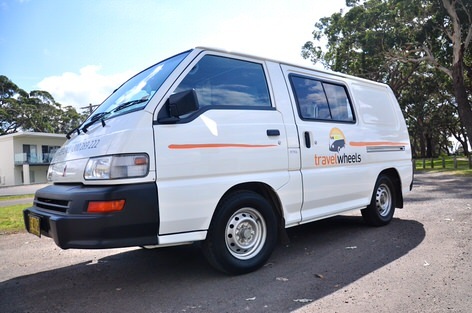 Travelwheels has this great 2 person campervan for sale here at our Sydney depot. This fantastic camper is one of our ex-hire rental campervans and is ready to go! Call Shaun on 0421101021 for more info or to organise a free test drive. Furthermore remember all our used campervans come with 12 months warranty on engine and gearbox! 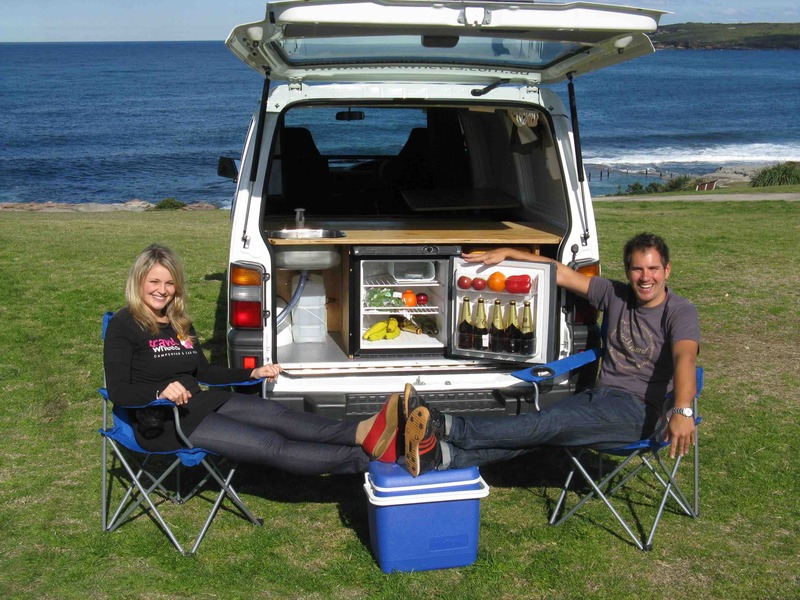 This 2 person campervan for sale here at our Sydney depot is wildly popular with couples. Anybody for example looking for a good balance between comfort, price and especially practicality, will love these campervans for sale! Here is a breakdown of the stats for this 2 person campervan for sale. Remember if you have further questions, please call us on 0421 101 021. You can email our used campervans for sale here. – Kitchen/Fridge/Double bed/Storage and more! If in the meanwhile you are looking for more detailed background information, check out our 2 person campervan for hire page on our website. 2 Person campervan for sale + fridge not an icebox! Here is a very important feature that is especially worth highlighting! This 2 person campervan hire for sale van has a proper 55L fridge and not an icebox or esky! 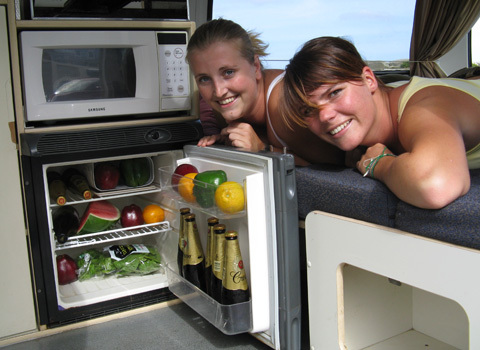 We therefore use the same size fridge in our small 2 person campervan that we use in our 3 person campervans for hire. As a result of this clever design you can keep your beers cold and food fresh! 2 Person Campervan for Sale comes with proper kitchen! 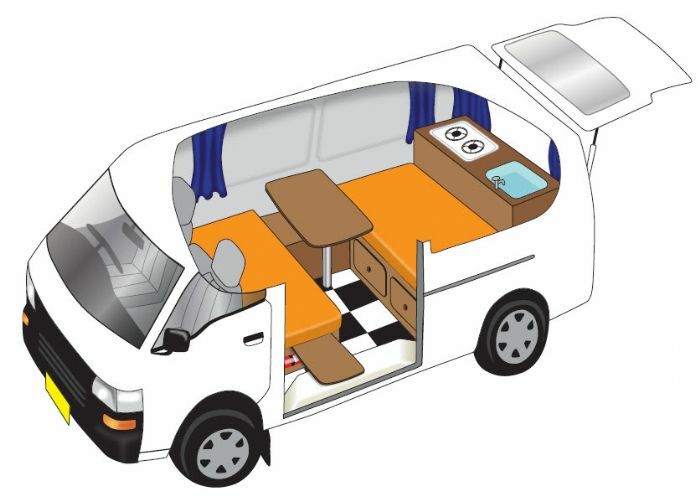 This Mitsubishi 2 person campervan has an especially constructed practical kitchen ready to go! Many of our customers reviews for example always comment about how useful the kitchen is! Here are the main features and they include fridge, sink, 2 burner gas cooker, and worktop to prepare food. This small campervan for example has everything you need for a great adventure! 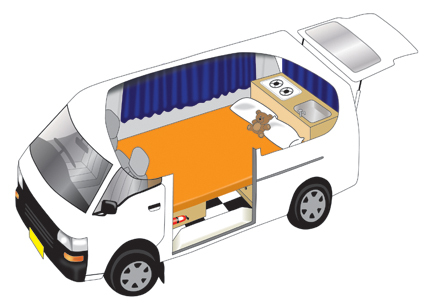 As a result of a very practical design, the fold away table and two benches easily converts to a double bed at night time. 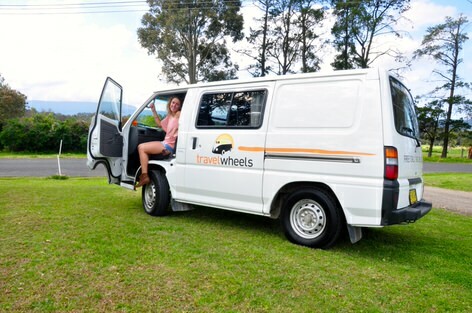 For more information about this 2 person campervan for sale call 0421101021. Email you questions to [email protected] and we will be happy to help. You are especially welcome to pop by our sydney campervan sales office. Here is our address on 11-15 Clevedon Street, Botany, 2019, Sydney and we would love to meet you soon!